The traditional landscape genre was radically transformed in the 1960s when many artists stopped merely representing the land and made their mark directly in the environment. Drawn by vast, uncultivated spaces of desert and mountain as well as by post-industrial wastelands, artists such as Michael Heizer, Nancy Holt and Robert Smithson moved earth to create colossal primal symbols. Others punctuated the horizon with man-made signposts, such as Christo's Running Fence and Walter de Maria's The Lightning Field. For Richard Long, journeys became works of art while Dennis Oppenheim immersed his entire body in the contours of the land. Survey: Brian Wallis discusses the key artists, works and issues that define Land Art historically, as well as its later ramifications. 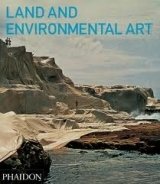 Works: this book fully documents the 1960s Land Art movement and surveys examples of Environmental Art to the present day. Earthworks, environments, performances and actions by artists ranging from Ana Mendieta in the 1970s and 80s to Peter Fend in the 1990s are illustrated with breathtaking photographs, sketches and project notes.